May « 2015 « Team Little Owl Foundation - Dedicated to raising awareness and keeping up the fight against childhood brain cancer. I struggle to be a grateful person overall even though I have been the recipient of so much kindness over the past two years. There have been so many incredible ways that family and friends have given me strength and love during such a tragic time. I have also been the recipient of kindness from strangers too. Most notably was the gift of the beautifully crafted Little Owl door that was featured in the documentary, The Gnomist. Such a precious gift and one that I will never figure out how to repay. It continues to provide hope and healing, and I will always treasure it. But this post is not about that incredible act of kindness either. It’s about the simple act that someone can either make or break your day with. I traveled to Scottsdale in April where I was meeting some girlfriends for the weekend. I was really looking forward to leaving my reality and enjoying some sunshine. 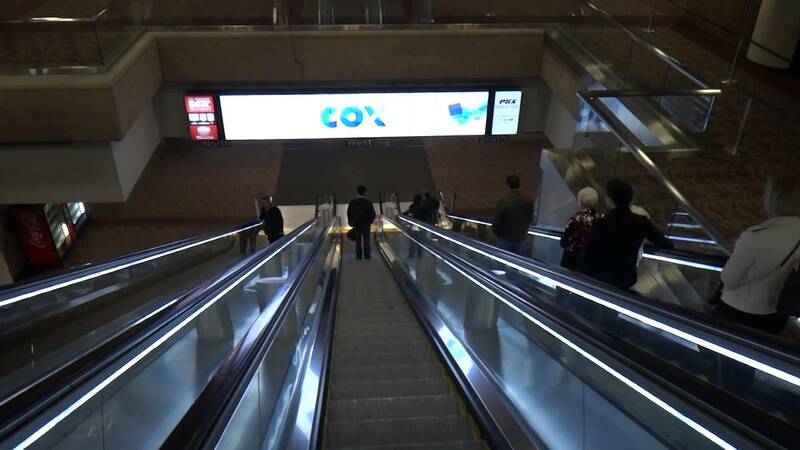 I exited the plane and headed down the huge escalator to the ground level at the Phoenix Sky Harbor airport. I had my carry-on bag with me. As I descended on the escalator, my bag was not securely positioned on the step. My bag fell and went flying down the 90 foot escalator like a torpedo. I looked ahead and saw a couple in their sixties towards the bottom of the escalator. Images of injuries and lawsuits flashed in my head. I panicked. I emitted some type of sound that was like an “AghhhughhOhhhhnoooo.” I ran down the moving steps chasing my bag that was way out of reach. My outburst caused them to turn around, and they zeroed in on the bag that was headed their way. That’s where the kindness came in. The man yelled up to me, “I’ll catch it!” and he stuck out his foot to prevent my bag from crashing into them. He caught it and held it for me. I was mortified as I ran down to meet my bag. Embarrassed, I apologized and then they actually thanked me for giving them a heads up. They made me feel like it was no big deal. They didn’t tell me to be more careful, and they didn’t make me feel worse by telling me that they could have been hurt. We said goodbye and went our separate ways. I was still embarrassed as I walked outside towards the taxi stand, but I wasn’t in tears. I surely would have been if I had been yelled at by strangers in the airport. I’m teetering on a cliff these days, and I only need a hint of anger to let out the emotional baggage that I’ve carried since Allie’s death. But instead of my eyes filling with tears, I had a good story to laugh at that night with my friends. A story about the kindness of strangers mixed with my usual antics of pretending (and failing) to be an adult. Last week, I was at Evie’s school for a muffins with parents event in the morning before I headed to work. I don’t eat breakfast and Evie doesn’t drink coffee, so we parted ways upon entering the cafeteria to our respective lines. I was standing behind a dad in the coffee line that I didn’t know. He poured his coffee from one of those large cardboard boxes from Starbucks. As he went to set it down, he knocked over his coffee cup all over my jeans and onto the floor. Not an ideal way to start the morning. But as that coffee came pouring down my leg, all I could see was my bag shooting down that escalator. He apologized, and I tried to emulate the strangers at the airport. I told him it was no big deal, and I went to get paper towels from the bathroom to help him clean it up. I went to work that day carrying the scent of coffee (which is a smell I love), and I felt truly grateful for remembering the lesson I learned from the baggage incident at PHX. Those kind strangers taught me a lot in that one moment, and that’s one piece of baggage that I hope I can always hold onto.